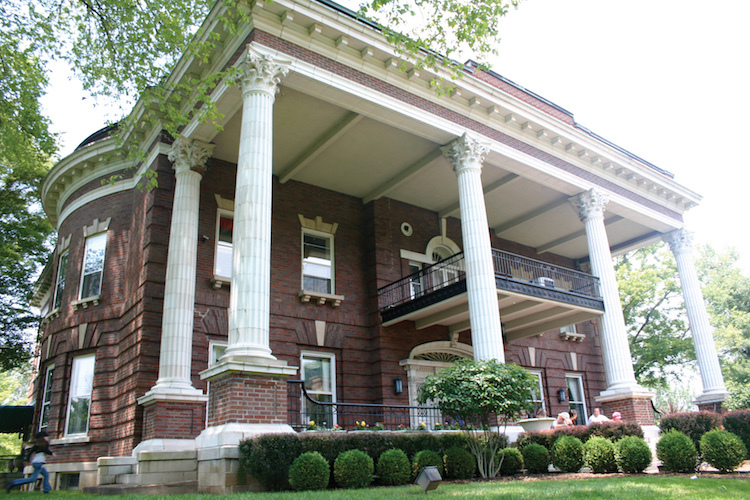 Oglebay Institute fosters and celebrates the talent and creativity of young artists. 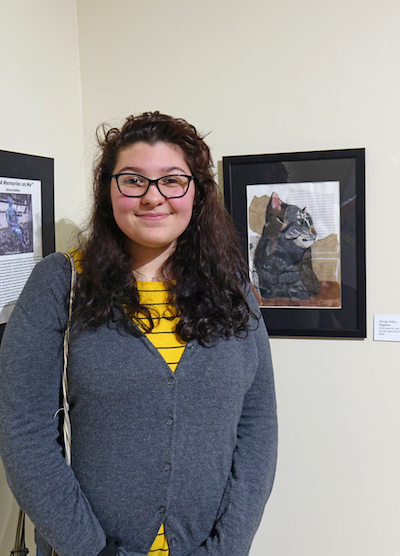 The 30th annual Regional Student Art Exhibition opened last week with a public reception and awards ceremony at OI’s Stifel Fine Arts Center. 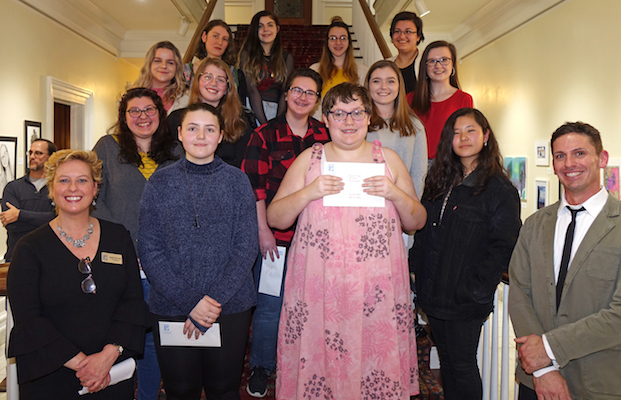 Several students received cash prizes for their work and others received scholarships to West Liberty University and West Virginia University. 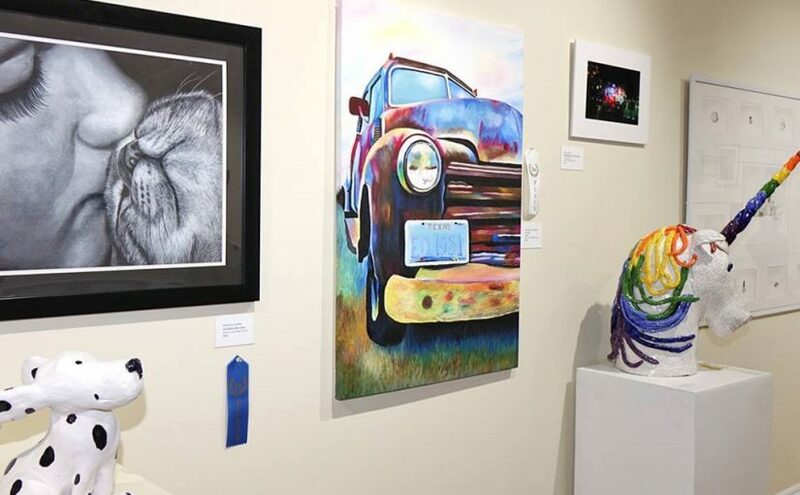 The exhibit provides high school students the opportunity to display their artwork in a professional gallery, see what other students are doing in the world of art and collaborate and get feedback from art teachers, college professors and other students from throughout the region. The show is part of Oglebay Institute’s art exhibition season, which is sponsored by United Bank. OI president Danielle McCracken, front row left, and OI curator of exhibitions Michael McKowen, front row right, pose with student award winners at the opening reception for the 30th Annual Regional Student Art Exhibition at the Stifel Fine Arts Center. 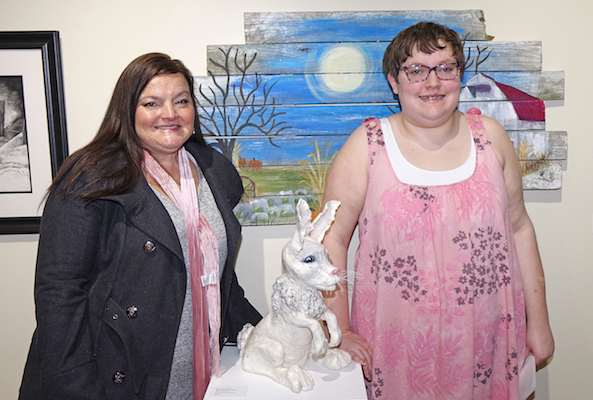 The Regional Student Art Exhibition is in its 30th year. Nearly 300 pieces were submitted and 132 were selected for the exhibit after being juried by Pittsburgh-based freelance illustrator John Blumen. In jurying the works, Blumen considered a work’s ability to reach out and communicate to viewers along with the use of line, color and texture and how ambitious the work was. The annual Regional Student Art Exhibition is open to students in grades 9-12 within a 50-mile radius of Wheeling. Fourteen high schools in five counties in Ohio and West Virginia are represented in this year’s show. 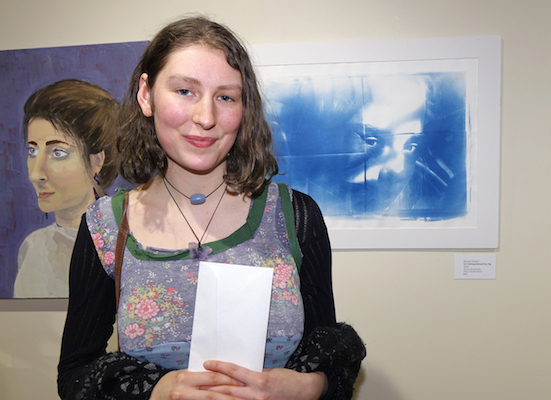 Prizes were awarded for Best of Show and to the top three students in five categories – painting, photography, drawing, 3D and mixed media. Five students received honorable mentions. Best of Show: Emilee Mehl, Bellaire High School. Drawing: first place, Brianna Leiffer, Union Local High School; second place, Alexis Logan, Union Local High School; third place, C.J. McBride, Union Local High School; honorable mention Alison Loase, Union Local High School. 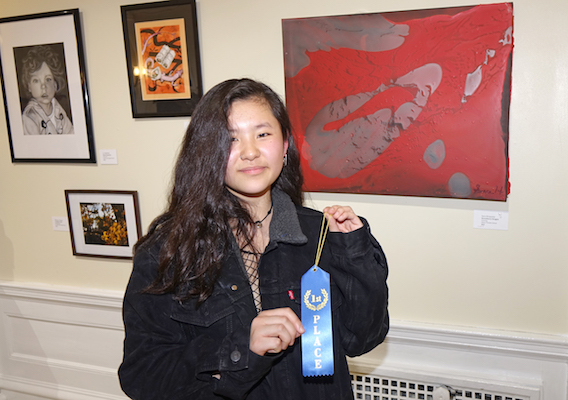 Painting: first place, Sara Hirayama, Olney Friends School; second place, Lilianna Hardt, Brooke High School; third place, Katlynn Cottrill, Brooke High School, honorable mention, Alexandria Moeller, Union Local High School. Photography: first place, Rowan Everet, Olney Friends School; second place, Madison Dagan, St. Clairsville High School; third place, Kaylee Stock, Union Local High School; honorable mention, Emma Magruder, Wheeling Central Catholic High School. Mixed media: first place, Alleigh Miller, Brooke High School; second place, Abigail Vitale, Bridgeport High School; third place, Taylor Jo, Brooke High School; honorable mention Bailey Barries, Martins Ferry High School. 3D: first place, Katelyn Huck, Monroe Central High School; second place, Lauren Newton, Union Local High School; third place, Emilee Mehl, Bellaire High School, honorable mention Natalie Alderman, Martins Ferry High School. West Liberty University awarded scholarships to Alexis Logan of Union Local and Andrea Perrie of Bellaire High School. West Virginia University awarded a scholarship to Monroe Central student Katelyn Huck. View the show free of charge now through February 15 at Oglebay Institute’s Stifel Fine Arts Center, 1330 National Road, Wheeling. Hours are 9 a.m. to 5 p.m. Monday through Friday and 10 a.m.- 4 p.m. Saturdays. Evening hours are dependent of classes and special events taking place. For more information, visit www.oionline.com or call 304-242-7700.